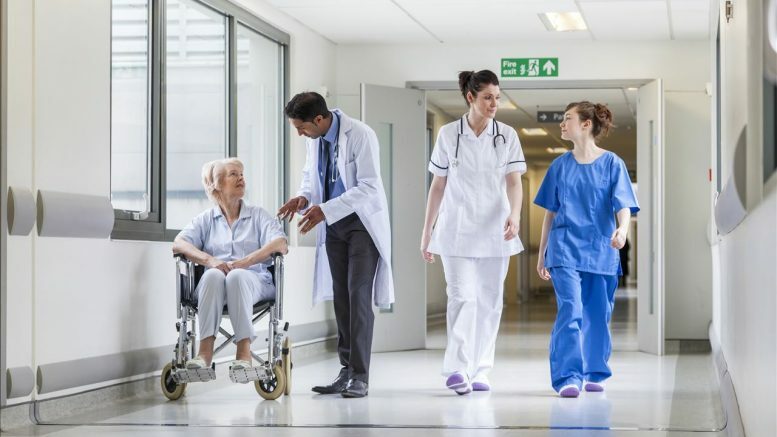 A nationally agreed pay structure must be put in place for apprentice nurses while they train to ensure they are paid fairly for the work they do, UNISON, the public service union, told Chief-Exec.com yesterday. Employers – in most cases NHS trusts – need to also ensure that appropriate systems and support are available so apprentice nurses do not work excessive hours and have protected study time. The head of health at UNISON, Christina McAnea, said: “Everyone needs to be clear what they [apprentice nurses] are, and are not, and what they are trained and competent to do at each stage of their training”. She said it was difficult to obtain data on the number of nurses needed in England as the Department of Health had stopped recording those figures, but the December 2015 NHS employer’s survey found the vacancy rate stood at about 10 per cent or 21,000 full-time staff. UNISON represents thousands of existing healthcare assistants who had the aspiration and ability to go on and qualify as nurses but could not afford to leave their jobs to study full-time. Nursing apprenticeships would allow them to train and remain employed, Ms McAnea said. Responding to questions on Health Secretary Jeremy Hunt’s statement last week that the first apprentice nurses could be working on wards from September and, once established, up to 1,000 apprentice nurses could join the NHS each year, the union said it was not sure where the figure came from. “We expect it is an estimate based on plans by employers involved in the Trailblazer group that has been designing the nursing degree apprenticeship,” Ms McAnea said. Last month the Higher Education Funding Council of England (HEFCE) said a £4.5 million development fund established by the government was expected to provide up to 5,200 degree apprenticeships by September 2017. This included some nursing degree apprenticeships and nursing associate apprenticeships. The number is yet to be finalised. The funding is for things such as curriculum design and development, collaboration activity with employers and making partnerships with other higher education institutions (HEIs). “Once the nursing degree apprenticeship has been approved by the Skills Funding Agency the actual numbers of apprentices taken on will be determined by how many employers decide that they want to recruit them,” Ms McAnea said. UNISON said employers would be responsible for recruiting apprentices and would need to be satisfied that they had the potential to pass the degree while working at the same time. The degree would have the same content as any other nursing degree, but would just be delivered in a different way. “The funds to pay for the tuition element of the degree apprenticeship will be paid for through the apprenticeship levy that NHS employers will have to pay into,” Ms McAnea said. “This money has to come from somewhere, as it is a new demand on already cash-strapped NHS budgets. There is a risk that levy contributions will be taken from existing training and development budgets and could squeeze money available for other forms of continuing professional development.